Injured UAW organizers listen to testimony during a National Labor Review Bureau (NLRB) hearing on the "Battle of the Overpass," Dearborn, Michigan. At left is Allwin Stickel. 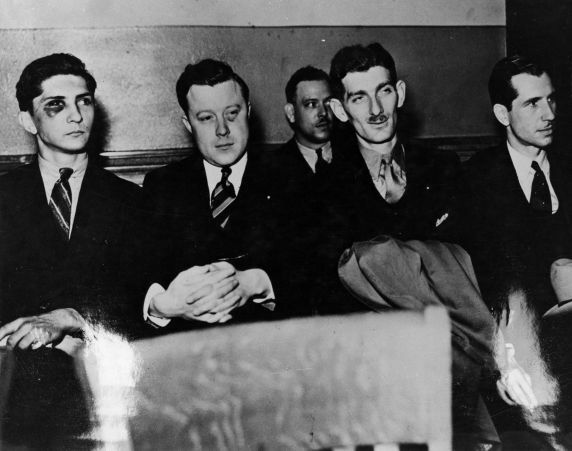 Walter Reuther sits at center.